Last week, I wrote about why the fascination of Alexander the Great and his life endures even 2,336 years after his death. That post also spoke about how to best engage with his life and deeds by following the route of his campaigns through Asia Minor in modern Turkey on our In the Footsteps of Alexander tour. Of course, Turkey is not the only country with locations directly connected to the great king’s career. On the modern map, his and his armies’ itinerary also traverses Syria, Lebanon, Israel/Palestine, Jordan, Egypt, Iraq, Iran, Turkmenistan, Uzbekistan, Afghanistan, Pakistan, and finally the Northwest of India. But that impressive march only began with his crossing of the Hellespont at the age of 21 and ended with his death in Babylon at 32. So, in what modern country did Alexander spend the first two decades of his life? The answer is (with the exception of short periods spent campaigning in what are now Bulgaria and the Former Yugoslav Republic of Macedonia) Greece! 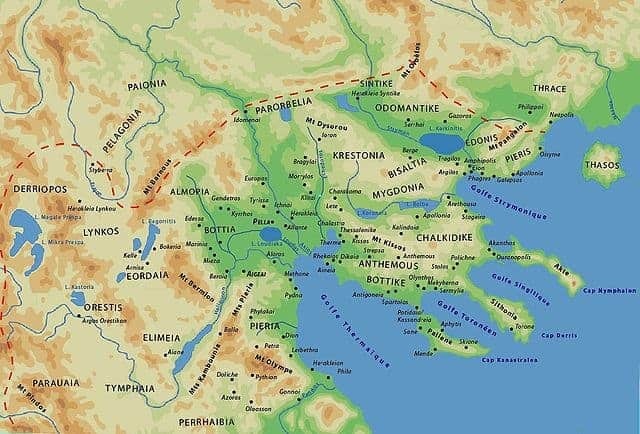 The ancient kingdom of Macedon, which Alexander inherited after the assassination of his father, Philip II, in 336 BC, largely coincides with the region of Northern Greece that is now called Makedonia or Macedonia. It is here that Alexander was born, spent the formative years of his childhood and youth, and gained his first experiences as a military and political leader. The origins of Macedon are somewhat hazy, as the kingdom becomes historically visible in the 8th or 7th century BC, but remained a bit of a backwater throughout the 6th and 5th centuries, the era of the great Greek city states further south. For a short period around the Second Persian War, King Alexander I (Alexander the Great is actually Alexander III, his great-great-great-grandson), even had to accept the Persian Empire as his overlord. 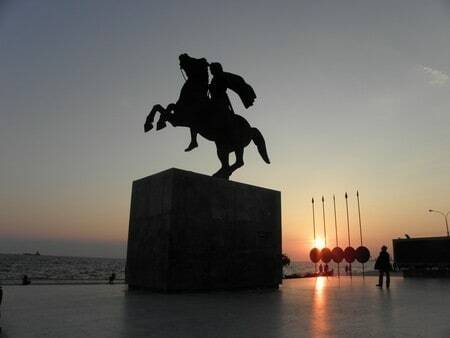 A modern statue of Philip II at Methoni in Macedonia. While besieging the city in 359 BC, he lost an eye to a defender’s arrow. The meteoric Rise of Macedon is associated especially with Philip II. This gifted leader used his rule (359-336 BC) to first unite the kingdom and limit the powers of the local nobilities in its various centres. Next, he engaged in a whole series of military campaigns to expand its borders considerably in all directions, including the conquest of most of Thessaly to the South. 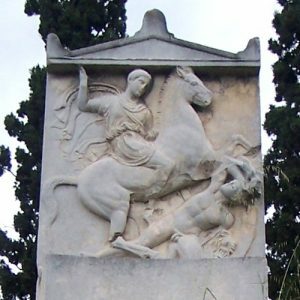 Eventually, he took on the great city states of the southern mainland, culminating in his resounding defeat of the armies of Athens and Thebes at the 338 BC Battle of Chaironeia (his cavalry was then commanded by the 18-year-old Alexander), which established Macedon as the hegemonic power dominating Greece. Philip’s achievements were the basis that enabled Alexander to take on the Persians soon after becoming king, setting out from Macedon on his long campaign, never to return to his homeland. After Alexander’s conquests, his early death and the break-up of his empire, Macedon remained the dominant power in Greece for another century-and-a-half, ending with its final defeat by Rome at the Battle of Pydna in 168 BC. 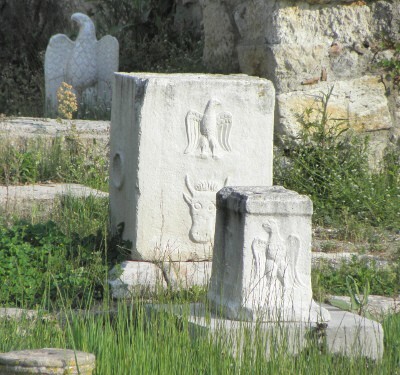 The Greek region of Macedonia contains countless sites and museums standing witness to the golden age of ancient Macedon, many of which are intimately connected to the lives of Philip II and Alexander the Great. They are one of the key foci of our Exploring Macedonia tour, a 14-day trip we have carefully designed to present the beauties and historical riches of that fascinating and highly diverse area, ranging from prehistory to the modern period and guided by two archaeologists. One of the must-see sites is Pella, Alexander’s birthplace. Founded by King Archelaos in 399 BC, Pella was to remain the (main) capital of the kingdom of Macedon until its destruction and sack by the Romans. Greek archaeologists have revealed the sprawling remains of a huge Hellenistic city, including public buildings such as various temples and a vast agora or marketplace, as well as the foundations of extremely grand private homes, their floors decorated with wonderful pebble mosaics. The new archaeological museum of Pella houses an astonishing collection of high quality objects from the settlement itself and from its surrounding cemeteries, a treasure trove of Hellenistic art, but also of objects representing daily life in antiquity. Further west, we visit Mieza, set in lovely hill country near Naousa, now famous as the heart of one of Macedonia’s most famous wine regions (needless to say, we will sample its produce). 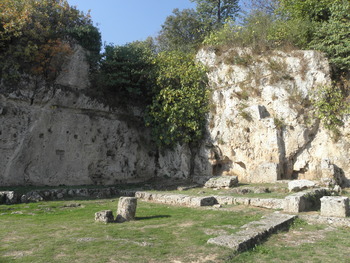 A leafy glade is the location of the ancient nymphaeum, or shrine of the nymphs. 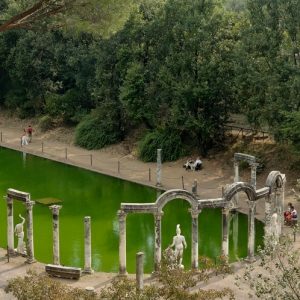 It was here that Aristotle, the greatest philosopher of his age and one of the founder heroes of Western thought, tutored Alexander the Great and his companions between 343 and 340 BC, when the young prince was aged 13 to 16. It is a place of intense charm and serene atmosphere, in an area scattered with Macedonian tombs. Not far to the north of Mieza is Edessa. Although most of the archaeological remains there are of Roman date, recent excavations have also revealed part of the 4th century BC fortification of its hilltop acropolis, probably built by order of Philip II himself. They are preserved under a glass floor in a beautiful 19th century mansion – which happens to be the hotel we stay in! 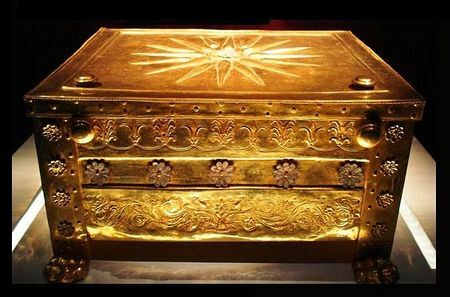 Further to the south lies Vergina, ancient Aigai, one of the most important archaeological sites in Greece, listed as World Heritage by UNESCO. Aigai had been the capital of Macedon before the foundation of Pella and remained a place of ceremonial importance afterwards, not least as it was the traditional place of burial for the Argead dynasty that produced Philip and Alexander. It is the site of Philip’s enormous palace (currently undergoing excavation). Just downslope from the palace lies the theatre, where Philip was assassinated and where Alexander was proclaimed the new king. 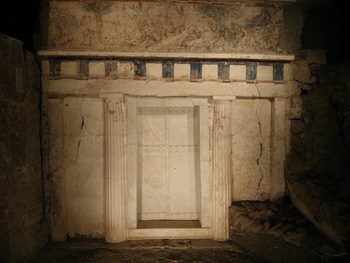 The most important aspect of a visit to Vergina is its remarkable and state-of-the-art underground museum. This unusual structure contains four actual tombs and their contents. Discovered in the late 1970s and early 1980s, these are among the most astonishing discoveries in the history of archaeology. 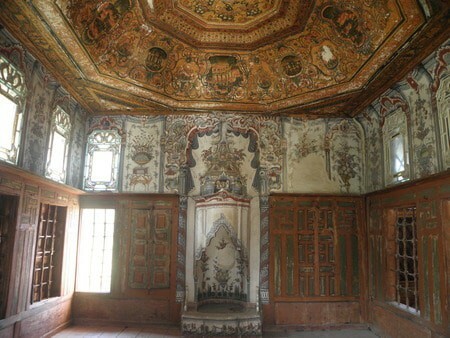 They are evidently tombs of Macedonian royalty or high nobility, and the quality of the material and the paintings in the most major one indicates to most scholars that it is the tomb of Philip II himself (there is no full consensus on this). The temple-like graves are a sight to behold by themselves, but the material recovered from them, weaponry, jewellery, and so on, is beyond description. The golden cask that contained Philip’s ashes, the ivory inlays from a lost piece of furniture, and his golden funereal wreath are among the most astonishing finds ever discovered. Another highlight of our tour is Dion, the chief sanctuary of the ancient Macedonians, set on the slopes of Mount Olympus, the sacred mountain of ancient Greece that wes held to be the home of the Twelve Gods. This is where Alexander the Great prayed to Zeus for support in his war against the Persians, and where his army assembled before that ultimate campaign that was to change the map of the world. Today, the site comprises the remains of the Macedonian shrines and temples on the one hand, and the extensive ruins of a Roman city, with walls, roads, homes and bathhouses on the other, including some very fine mosaics. Dion also has an excellent archaeological museum displaying the rich finds from decades of excavations. Unusually, there is a special display of newly found artefacts, which adds extra excitement as it often holds as many suprises for the guides as it does for any visitor! Our tour also includes Aiani, one of the very ancient but regional Macedonian centres that Philip put in their place. The site has recently been explored by Greek archaeologists, revealing a major city and a rich necropolis, now displayed in a fantastic museum, displaying the history and artefacts of a regional centre for centuries. 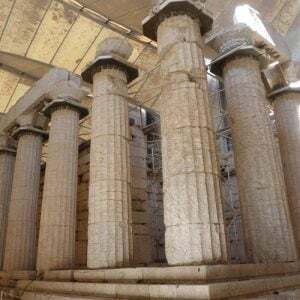 Ignored by mainstream tourism, Aiani is among the best sites of the many newly presented archaeological sites and museums in Greece – and we are proud to include it in this itinerary! We also take in the more easterly parts of Macedon, the areas that Philip II had to put his stamp on to assert his dominance over the region. 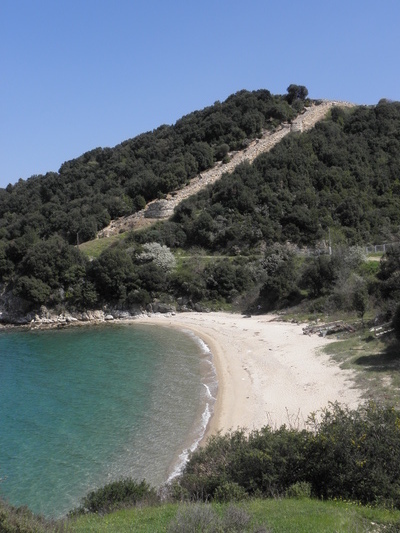 Thus, we visit Olynthos in the Chaldikiki peninsula, an ally of Athens that was conquered and destroyed by Philip in 348 BC, and excavated by American scholars in the 1920s and 1930s. Due to careful excavation and analysis, the site is one of our key sources for understanding ancient Greek domestic life, and again, we turn the ankle-high foundations that survive into a lively story of people living, loving, succeeding and failing. 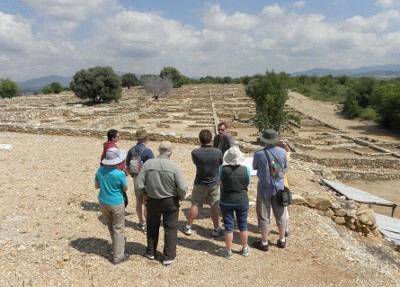 Another site on our itinerary is Stageira, home of the great philosopher Aristotle we mentioned above. Also destroyed by Philip II in 348 BC, the city was rebuilt soon after, perhaps as part of Aristotle’s fee for tutoring Alexander. Its remains, on the eastern shores of the Chalkidiki peninsula, comprise impressive city walls and the council chamber where one of the leading thinkers in the underpinning of modern politics first experienced political debates, a landmark in our intellectual history. 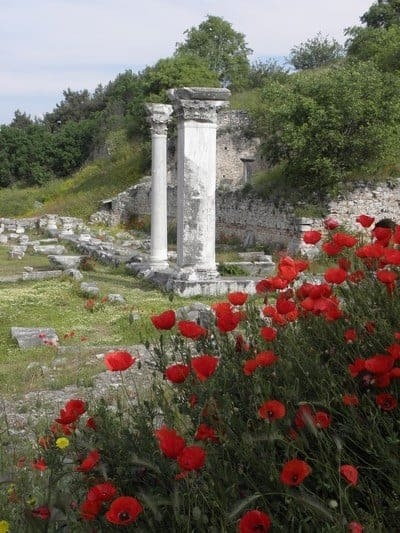 Our tour also goes to ancient Philippi, named for Philip II, since he refounded that city as his eastern border town. 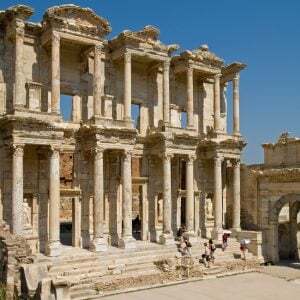 The massive site with its beautiful theatre and its dedicated museum display a long history, ranging from Philip’s days to the Early Byzantine era, when the city was revered for its 1st century AD visit by St. Paul, commemorated by the erection of several major churches. Another key site our tour touches is Amphipolis, a major locale in the history of ancient Macedon and its expansion, and a key naval base in the age of Alexander. 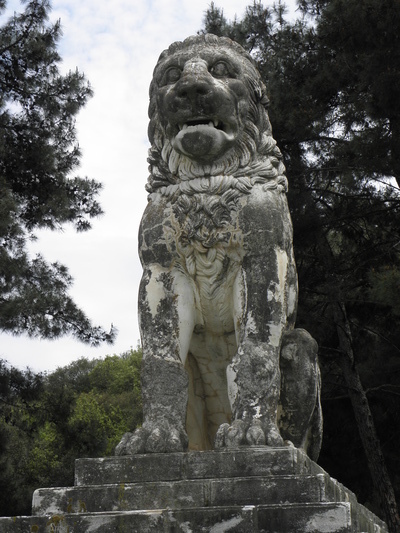 Its famous landmark is a stately and huge stone lion that appears to have stood atop a massive grave mound, recently suggested rather speculatively to be that of Alexander’s wife Roxane. This list of sites associated with Philip and Alexander would be incomplete if it did not mention Thessaloniki, another key highlight of the tour. 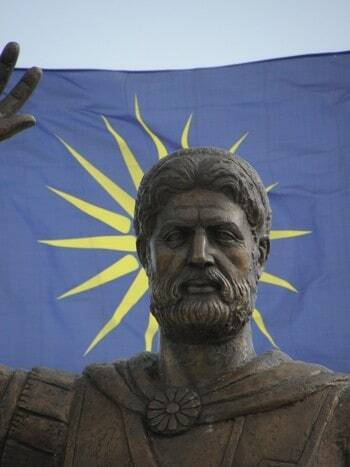 True, the metropolis of Macedonia and second city of Greece did not exist in their day, since it was founded in 315 BC by Cassander, Alexander’s regent and later successor as king of Macedon. But Thessaloniki, with its proud 2300 years of uninterrupted urban history, is home to an enormous and recently renovated archaeological museum holding a host of fascinating material from the region. Among it is the stunning “Gold of Macedon” exhibition, showcasing the rich contents of the many ancient cemeteries in the area. 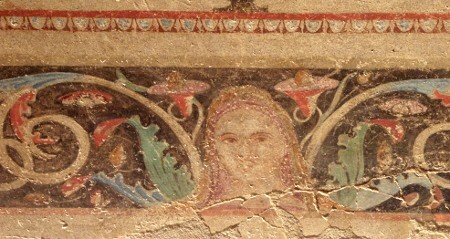 Painted decoration from the interior of a Macedonian tomb, Thessaloniki Archaeological Museum. For an introduction to the life and times of Philip II and to the context and upbringing of his son Alexander, our Exploring Macedonia tour is second to none. Actually, there is a lot more to it, as the tour at the same time aims to present the whole region and its history in a holistic fashion, taking in many of its hidden secrets and its wonderful diversity of landscapes, ranging from craggy mountains via rolling fertile hill country to the azure shores of the Aegean. Historical surprises along the itinerary include the 7,500 year-old Neolithic lake dwellings of Dispilio, the peaceful island of Thasos with the grand ruins of its ancient city, the elaborate Ottoman-era mansions of Ambelakia, Naoussa and Edessa (on several occasions along the tour we stay in lovingly renovated examples of such traditional architecture), the magical lake-girt town of Kastoria and the labyrinthine old town of Kavala, jutting into the Aegean. 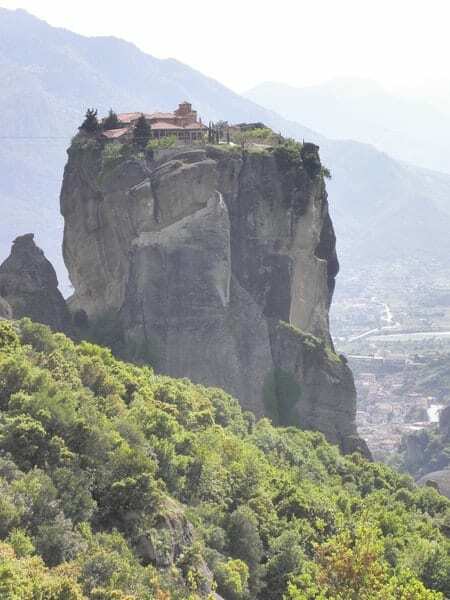 We also see some key highlights of medieval art and architecture, among them the Late Roman and Early Byzantine monuments of Thessaloniki itself (another item on UNESCO’s World Heritage list) and its superb Byzantine museum, the extraordinary rock-top post-Byzantine monasteries of Meteora (yes, they are World Heritage, too) and the strategic crusader castle of Platamon. All of this fascinating exploration, with new sites, new perspectives and new marvels every day, is complemented by the high quality accommodation we use throughout, and also by the great array of culinary delights we offer day by day, showcasing another aspect of the region’s culture and traditions at selected venues. From authentic local tavernas to sophisticated restaurants, and also including three wine tastings at carefully chosen wineries, the gastronomic side of our tour will ensure that our guests really experience Macedonia with all their senses. So, if you are curious to see first-rate archaeological sites and museums, wonderful landscapes, picturesque towns and villages as well as a truly great city, all in a region that boasts literally millennia of fascinating and sometimes turbulent history and that has largely escaped modern mass tourism, join us on Exploring Macedonia tour!